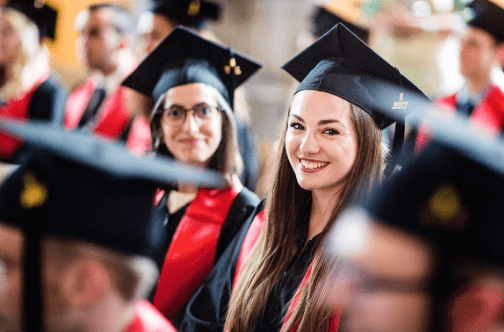 How long should does the Graduation Gown need to be? The Graduation Gown has the perfect length for you if it comes midway down your calf. What side of the cap do you wear your Tassel on? At the beginning of the ceremony the Tassel is worn on the right side of the cap and at the finish of the ceremony it is moved to the left side. What is the difference between a Bachelor, Master and Professor gown? See the difference on the photo on the right. What is a hood and how do you wear it? Can I order the products in different colors and can I customize it? Of course you can order the Graduation Caps, Graduation Gowns and Tassels in different colors. Normally our customers use different colors to distinguish the different classes, faculties or studies. Please get in touch with us, and we will see what we can do for you! 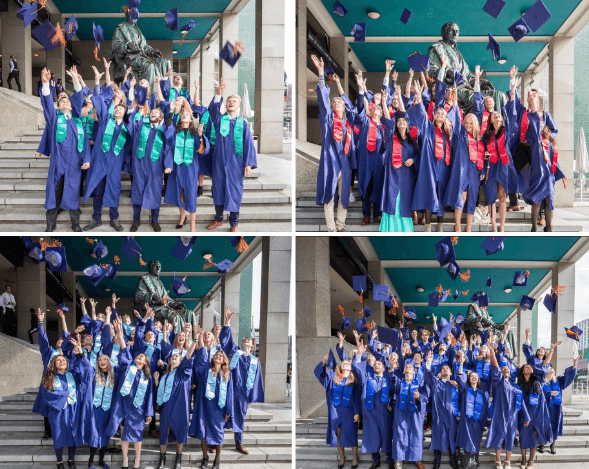 When to use an Honor Stole or Honor Cord? These accessories are frequently used to distinguish one group from another. Like Honor Stoles and Honor Cords which are used for honor students with extraordinary results. Also our customers order them in different colors to distinguish the different groups of students. But most of our customers simply use them as a very nice and stylish accessory. Is it possible to embellish your items with embroidery or silk screening with either lettering or a design? It’s possible to embellish a Graduation Cap, Graduation Gown and the Honor Stole with either lettering or design. It makes your graduation really personal. Please get in touch with us and we will see what we can do for you! Everything we deliver is customized. It is our desire to help you choosing your Graduation Dresses and make your graduation day unforgettable. The best way to order is fill in a Quote Request. A dedicated Sales Representative will help you with all your questions about sizes, colors, shipping and costs. To check your order status please contact Customer Service or your Sales Representative. Our Graduation Dresses are custom-manufactured to your choices. Production times will vary based on the product(s) selected and individual options chosen. 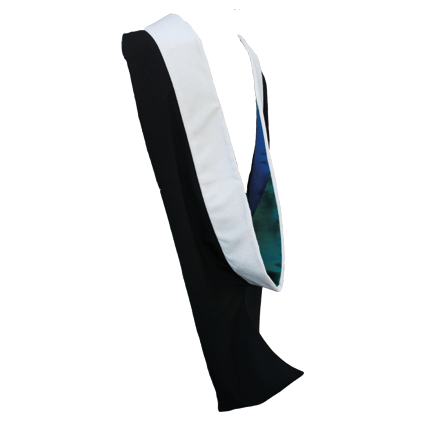 The frequently used Graduation Caps and Gowns in Black and Navy Blue are always in stock. Prepare in advance to make sure that your order will be on time. In addition to the manufacturing time, add 7-10 business days for standard shipping and 1-2 days for express shipping. Is it possible to provide our students their own login to order? For all schools, colleges, faculties and universities it is possible to have your own login for your students. Each student can order their own Graduation Package in a secured environment. It’s no problem at all for us to provide you with a difference. Through the past 10 years we have had the privilege to add many loyal customers to our customer base. Is it possible to hand over the entire organisation of the ceremony to you? We’re open to any kind of cooperation. Because we have already organised multiple graduation ceremonies we are full of ideas and suggestions that could help you.